Cydia is a vast hub of tweaks, apps, themes, and other such jailbreak-only treasures, but by default, only a few repositories are added. In order to truly experience the diverse array of content on offer, you have to manually search and add new ones all the time. But to save you the hassle of having to go hunting, we’ve compiled a checklist of great repos we’ve stumbled across, so if you’re on the hunt for some new jailbreak-specific stuff, be sure to add all of the repositories listed after the break! For the benefit of those unfamiliar with the process of adding a new repo, it’s actually very simple. Just fire up Cydia, hit Manage, then navigate through Sources > Edit > Add . Thereafter, you will be typing (or pasting) the address, and after a short delay, you will be able to browse, search, and download tweaks contained within that repo. Petrich is renowned within the jailbreak scene for producing high volumes of high quality tweaks, including the likes of DisplayRecorder, OverBoard, and, of course, Activator. His repo over at rpetri.ch/repo is the source of many beta releases, and is well worth adding to your list of sources. BiteSMS would unquestionably find itself in our top three list of the most valuable jailbreak tweaks / apps of all time, and with good reason. It completely re-imagines the stock offering, adding a plethora of great features like quick compose / reply, customization, and to be frank, we wish Apple would hurry up and emulate the experience at stock level. Staying on the topic of Messages momentarily; if you don’t wish to go the whole hog and revamp the system with something as big and awesome as BiteSMS, there are many ways to make subtle changes and tweaks for a better all-round messaging experience. Couria, which we featured here a month ago, is one such tweak, bringing quick reply and quick compose to the Messages app. 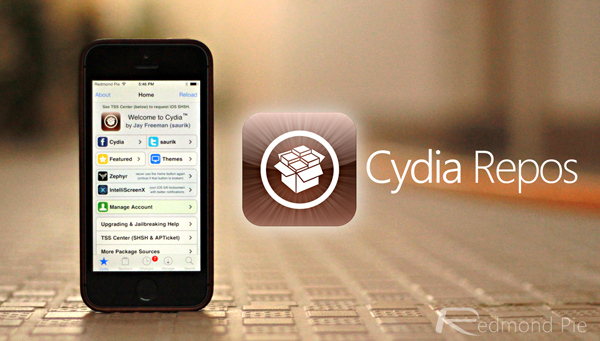 The beta repo at cydia.Qusic.me will let you access the betas. iCleaner Pro, as the name implies, will automatically detect and banish unwanted, unnecessary clutter from your device, freeing up space for music, movies, apps, and whatever else you like to cram onto your iPhone, iPad or iPod touch. Although the Evad3rs team made it nice and easy for us to jailbreak our beloved iOS devices with a noob-proof Evasi0n utility, the very nature of jailbreaking as a hacker’s sport means that bugs and issues following a seemingly successful jailbreak are fairly commonplace. This time around, some users were reporting of the status bar behaving erratically, and thanks to the guys of the repo.pnre.co.vu repo, this issue was quickly resolved with StatusBarFix2. Suffice to say, if any other niggling iOS issues arise in the future, this is a good source to have in the repertoire. XBMC is renowned as a great open-source media center / player app, and was, until the jailbreaks seemed to dry up, the weapon of choice for many Apple TV users. Following the release of the iOS 7 jailbreak, XBMC was released for iOS, and if you’re a great watcher of movies and videos on your iDevice, this is an app you’ll certainly want to be testing out. In adding the repo.coolstar.org repo, you’ll find a handy selection of command-line tools, and although you can probably skip this one if you’re rather new to the jailbreaking scene (or completely unfamiliar with even basic commands), it’s a very well-manned, constantly-updated repo with tweaks for advanced users. Although some of the repositories we’ve mentioned here purport to improve the iOS experience in terms of functionality, the HASHBANG repo is all about that style, adding a little cool factor to proceedings with customization tweaks like ScreenFade, Tap To Unlock, and other such effects. Take a look for yourself by adding cydia.hbang.ws to your sources. If you fancy some nice subtle improvements to iOS, then the ParrotGeek Software repo is something worth checking out. Housing useful tweaks such as Siri old Voice for iOS 7, iOS 7 Adrenaline and Unauthorized Lightning Cable Enabler, it definitely deserves a place in your most-accessed repos in Cydia. And, there you have it. That’s our list to help get you started with some of the great tweaks, apps, themes, emulators and mods out there for jailbroken iOS devices. And like we mentioned at the beginning of this post, you can add repos by navigating to: Sources > Edit > Add under the Manage tab in Cydia.